As any mother knows, packing your kid’s lunch every day can get tiring. It’s just one more step you have to take in what’s probably already a busy morning. However, carving out those precious extra moments can be extremely valuable for your kid in both the short term and long term. When you pack your kid’s lunch you have complete control. Regulating portion sizes, opting for organic produce, and choosing certain brands are just some of the ways you can improve the quality of their lunch. Without a doubt, healthy lunches are necessary for promoting your child’s physical and mental growth. To better regulate food portions, use BPA free bento lunch boxes so your kid’s food will stay warm, fresh, and organized. If your kid has allergies or is a picky eater, packing their lunch will help them immensely. They won’t have to worry about cross-contamination, or wondering if a certain food contains what they’re allergic to. Even if these scenarios don’t apply to your child, ensuring they’re eating a healthy lunch is always a good idea. To ensure that your child’s lunch is both healthy and safe, it’s highly recommended that you use BPA free bento lunch boxes. Their lunch will stay fresh, organized, and contaminant free. Having total control is one of the main reasons why you should pack your kids lunches. Though control may sound like a harsh word, the softer reality is that you are now entirely ensuring that your kid is eating a balanced diet. Not only are the options available in the lunch line innutritious, but you also have no idea what your kid is picking out to eat. They could be getting chocolate milk and pizza every day, which is in no way shape or form beneficial for them immediately and for their long-term health. Control means that you select the foods and you select the ingredients that your kid is consuming. Perhaps your family is gluten-free it can be very difficult for a child to determine what does and doesn’t contain gluten. By packing their lunch you are taking the worry of consuming gluten out of your head and theirs. If you prefer your kid to eat organic produce, the only way to ensure that is by providing them with organic produce yourself. Make sure you’re the one in charge of what your kid is eating because you know what’s best for them. Don’t let the school make those choices for you. Paying for a school lunch every day can add up extremely quickly. 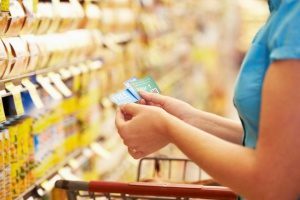 If you’re able to shop smart and buy in bulk, you can make sure that you’re saving money. Coupons and deals can be your best friend in helping you to save some cash. 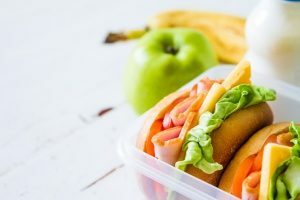 Some people may argue that it’s more cost-effective to buy school lunches, but with a little extra work, frugal grocery spending, and the use of BPA free bento lunch boxes, it’s entirely worth it to provide your child with a healthy packed lunch. Usually, schools have pretty limited options, which often times means that each day has a specific entree. Taco Tuesday and pizza Thursday can get extremely boring and bland after a while. When you pack your kids lunches you can make sure they’re having more variety, which they likely won’t complain about. Variety isn’t just about personal preference and avoiding eating the same thing every day, but it’s also about eating a balanced diet. Your kid could be loading up on cheese sticks in the lunch line, and you would have no idea. Packing their lunch means you can give them a variety of foods so they’re eating proper amounts of protein, fruits, and vegetables. It’s important to instill healthy eating habits in your kids when they’re young so they will continue to eat healthy for the rest of their lives. Not only does packing your kid’s lunch give you control, but it also gives your kids the ability to have a say in what they want for lunch. Rather than be restricted to what’s served at school, they can have a say in what kind of fruit they want or what kind of sandwich they prefer. If your kid enjoys what you’re packing you know you’re setting them up for a good day at school. You can even get your kids involved in packing their own lunch. Not only can they have a choice when it comes to picking out their food, but it’s a time for to you to explain to them why it’s important to eat certain foods. Depending on the age of your kid, you can give them certain tasks surrounding packing their lunch that can help teach them responsibility. Whether we like it or not, kids absorb everything around them. This makes packing lunches a great opportunity to begin instilling healthy eating habits and good time management skills as it takes extra time in the morning to pack. BPA stands for bisphenol A, which is used in making certain plastics. If food or drink is stored in these plastics, there’s the chance that it can seep into them. BPA can have possible health effects on the brain and unfortunately, kids are particularly at risk for this. There are also tons of other contaminants school food could be coming into contact with that you wouldn’t even know. These could be other toxins or potentially other foods that your kid is allergic to. The way to avoid this is to pack their lunch using bento lunch boxes. Bento lunch boxes are a great solution for this as they are BPA free and come in a variety of shapes and sizes that can be used for different types of food.